distance of the town of Essaouira. 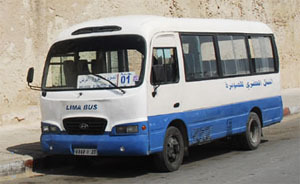 A LIMA bus service runs from the airport to Essaouira approximately every 2 hours during the day and taxis are available at arrivals. Quels vols à destination d’Essaouira en 2018 ? 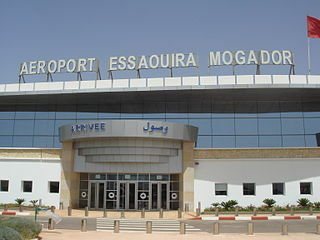 ONDA page for Essaouira Mogador Airport! Please check departure - and arrival times with the respective airlines. 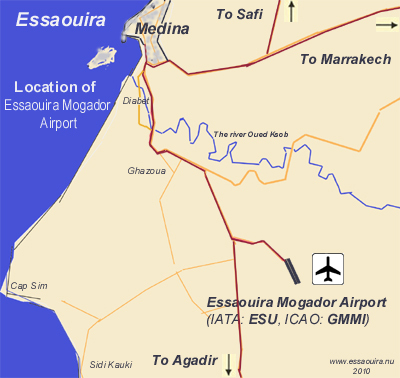 Disclaimer: Essaouira.nu take no responsibility for being correct with information about flights to and from Essaouira Mogador Airport. TO3043 Essaouira Dep: 17:35 Arr: PARIS 22:05 . TO3043 Essaouira Dep: 17:35 Arr: PARIS 22:05. TO3043 Essaouira Dep: 15:50 Arr: PARIS 20:20.
at the Essaouira Mogador Airport. The Boeing 737-800 pax is the biggest airplane that can land on Essaouira Airport. Monsieur Yahya Laârous, Commandant de l'aéroport Essaouira Mogador. A nonpaynig car park is at the disposal of the travellers with a capacity of 100 cars and 4 buses. Taking Photographs and filming at the airport require special authorization. This picture shows a screenshot of live air traffic over Morocco - Wednesday 1 of April 2015 at about 8:45 AM. and will arrive Essaouira at 9:20 AM. Flightradar24 is a flight tracker that shows live air traffic from around the world. 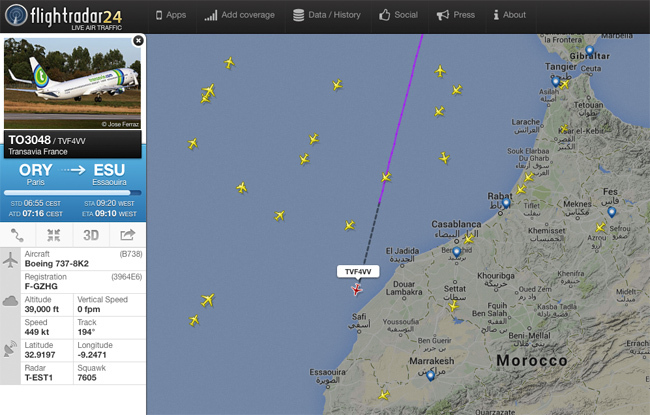 Flightradar24 combines data from several data sources including ADS-B, MLAT and FAA. The ADS-B, MLAT and FAA data is aggregated together with schedule and flight status data from airlines and airports to create a unique flight tracking experience. * Airport infrastructures developement, allowing reception of A319 Airbus aircraft type without load restriction. 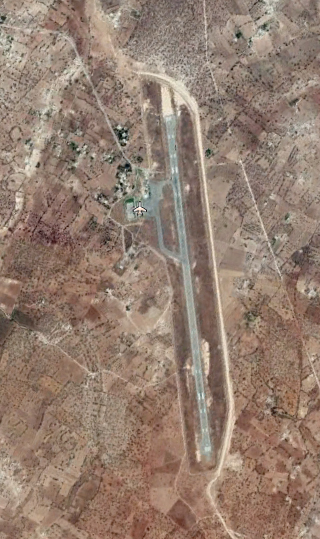 For this purpose, it was necessary to have a 2500m length and 45m width take-off runway. * New passengers air terminal construction, allowing traffic processing in normal quality service and safety conditions. The new air terminal will approximately have a 3000m² surface and will process a peak hour of 300 passengers. Current air terminal will be remodeled into a lounge and an administrative building; The air terminal will be served by a new access road and a 200 slots parking lot. 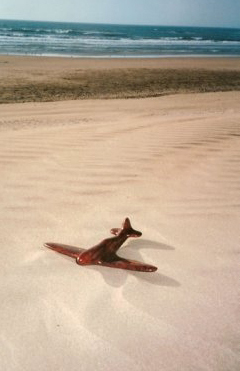 Read more about Craftmanship and Art in Essaouira. 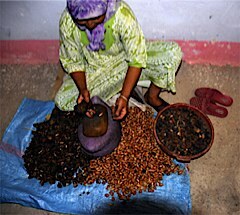 Another tree special for Essaouira region is the Argan - from which nuts the coveted argan oil is extracted.